Searching for holiday accommodation, finding a home, choosing a real estate investment opportunity…Any decision about real estate abroad may seem much more complex. 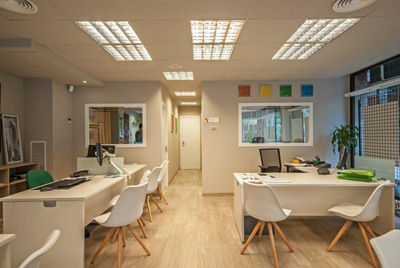 At Finques 3 Cases Andorra we are experts in mediation, consulting and management services in real estate transactions related to the purchase, sale, rent, exchange and transfer of property both in Andorra and abroad. We are registered under membership number 140 in the Registry of Real Estate Agents and Managers of Andorra, a registry that aims to promote transparency in the real estate sector and ensure consumer protection, providing accurate information so that clients can participate in real estate transactions with the maximum security. We provide a team of professionals in both tourism and real estate who can advise and follow up on opportunities for the purchase or rental of a hotel in Andorra. Please do not hesitate to contact us for further information. Study of the legal framework in the Principality of Andorra, the parish or the community, property sale and purchase contracts, mortgages, etc. Our team of professionals is available to help you in any language. We act as an broker between our financial institutions and those customers who apply for mortgage loans. We advise applicants about the scope and content of the loan best suited to their situation.